Compared with the beach a few blocks away, Miami’s convention center may not look like much. But for a week each December, the convention center, home to Art Basel in Miami Beach, becomes a paradise for collectors. The hallways and gallery booths hold wonderful surprises. The 82,000 visitors attending this past December could see close to 10,000 works of art worth an estimated $3.5 billion. Just one month before, the auction houses Sotheby’s, Christie’s, and Phillips had offered work by many of the same artists. Those November auctions, which feature the most expensive art available, included close to 1,900 works which sold for a combined $2.3 billion. With so many works for sale by the same artists, a recurring question for collectors is whether galleries or auction houses offer buyers a better deal. Based on my experiences as a collector, art advisor, and former President of the Americas for Christie’s, the answer depends on context and the type of work being sold. But there are some general principles that explain the relationship between the price of artworks at galleries and those fetched at auction (including the buyer’s premium). Galleries spend considerable time and money building and cultivating a buyer base for their artists. Because artists create unique objects, and collectors’ appetites for the same artist can vary widely, finding a buyer for each work takes time. Ask three people at a gallery opening to point out their favorite work, and you will likely get three different answers. Because most artists have a small buyer base, it is hard to know if a buyer who is both aware of the artist and interested in the specific work for sale will emerge on the day of an auction. If the work sells, then it will most likely go for less than what the gallery would ask for similar work. As a rule of thumb, artists whose work appears at auction no more than three times a year will likely cost less at auction than equivalent work at a gallery. Galleries experience both pleasure and pain managing the sales of work by “hot artists.” To get works placed with the “right” collectors and institutions, galleries may offer discounts relative to what other “less desirable” collectors may be willing to pay for it. The gallery may also be reluctant to jack up prices too quickly, out of concern for potential problems down the road if the artist’s career pauses. But when work by the artist leaks into the auction channel, buyers who were unable to purchase work through the gallery crowd into the auction market, driving up the price. Speculators may also jump into the game, helping push auction prices significantly above gallery prices. Njideka Akunyili Crosby is a recent example of this phenomenon. After a Yale MFA and a 2011 stint as an artist-in-residence at the Studio Museum in Harlem, her distinctive work started to appear in group shows and a few one or two-person exhibitions at galleries focused on emerging artists. Her break-out year from an institutional perspective came in 2015 when the Hammer Museum in Los Angeles and the New Museum in New York featured her work in its Triennial. The commercial art world was not far behind when the Victoria Miro Gallery in London announced they would represent her. Crosby’s highly anticipated first show opened on October 4, 2016. In an interview with The Economist magazine, the gallery said that more than a dozen public institutions were vying to buy her work and that the gallery was offering them paintings for less than $100,000. Given institutional demand and their preference to see the work in public collections, the gallery said it did not anticipate selling any works from the show to private collectors. Njideka Akunyili Crosby, Portals (2016), Acrylic, transfers, colored pencils, collage and commemorative fabric on paper. While artists and galleries aspire to control prices, much is beyond their control. In Crosby’s case, it was the lucky private collectors who already owned her work who profited most. Shortly after the Victoria Miro show closed, Sotheby’s included a painting by the artist in its November 17, 2016 Post-War and Contemporary Art evening sale. With a pre-sale estimate of $200,000 to $300,000, it sold for $1.1 million (including buyer’s premium). Four months later, Christie’s sold a slightly larger work in their London Post-War and Contemporary Art evening sale for $3.1 million (including buyer’s premium). By trying to keep prices low, the artist and gallery effectively enabled early collectors to enjoy windfall gains, rather than themselves. The takeaway: Buying a hot artist at auction is unlikely to be a deal, but may be the only option under these circumstances. As an artist’s career develops, galleries raise prices to reflect not only higher demand but also to signal to buyers that the artist is on an upswing. They do this because many buyers find it hard to evaluate an artist’s importance and sometimes use price increases as confirmation the artist is doing well. But if demand slumps for an artist’s work, galleries hate lowering prices, fearing that doing so will publicize to collectors that the artist’s career has paused, or worse. But when work by the artist comes up at auction, it sells for its fair market value, which is far below the artificially high price galleries continue to ask for it. To protect the innocent, I will avoid naming artists who are in this predicament. But it is easy to figure out by comparing offering prices at galleries with readily available auction pricing data. The good news for collectors is that if you love an artist in this situation, you should consider buying their work at auction. Many collectors use alert systems offered by Artsy, Artnet, and other providers, to let them know when a work by an artist they are interested in is coming up for sale at auction. Masterpiece collectors know that there is only a very small pool of potential buyers with the means and desire to spend tens of millions on a work of art. As a result, it is difficult for them to know with confidence the fair market value of an object. A recent example was a beautiful Constantin Brancusi bronze head of a sleeping woman, La muse endormie (1909-1913), offered at Christie’s in May 2017 with a pre-sale estimate of $25 to $35 million. Nothing like it had been on the market for years. What was it worth? If offered privately, even high-rolling collectors might balk at paying a big price for it, because the price had not been publicly validated. This resistance can drop away during an auction when they see other bidders going after it. 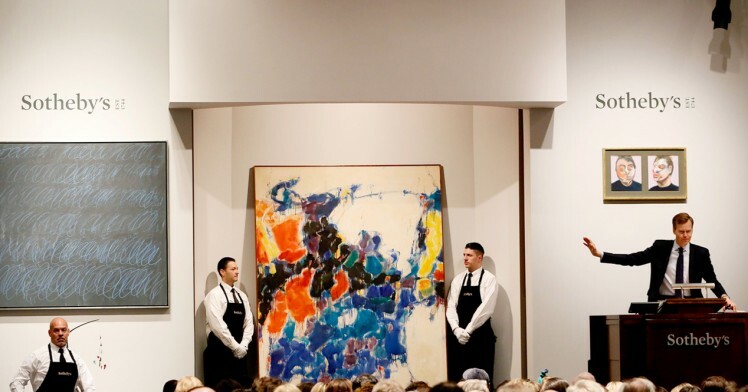 Auction house specialists are full of stories of fruitlessly trying to sell a masterwork privately for a big number, only to see the same clients bid against each other when the work goes on the auction block. They often end up paying more than the price initially offered to them. That Brancusi? It ended up selling for $57.3 million. A liquid market creates visibility around the fair market value of an artist’s work, making it hard for pricing differentials to persist between the two sales channels. The Yayoi Kusama market, for example, tends to be quite liquid because she has been so prolific. Buyers do not have to search high and low to find something to buy. If they’re unable to get something from one of the galleries that represent her, they can buy something at auction, or at an upcoming art fair, or call around to the numerous galleries that offer her work on the secondary market. Comparison shopping by diligent buyers forces similar work to sell for similar prices. But even in the Kusama market, there are periods where sale prices at auction are higher, only for the relationship to flip. This happens because the number of Kusama “shoppers” at a given point in time is small. So if they act more on impulse, with little or no comparison shopping, they risk overpaying in one channel. Capturing the deal opportunities discussed above requires research and discipline. But research and discipline can transform a casual buyer into a smart collector. Start with a short list of artists you would ideally like to acquire. Monitor whether their work comes up at auction. When it does, talk with auction house specialists to get their perspective on the work and how they arrived at their presale estimates. These are very easy conversations to have because specialists love speaking with potential buyers. Stay abreast of news about your shortlisted artists so you can sense whether changes may be afoot in their career trajectories. Key indicators to follow include changes in gallery representation, the frequency with which the artist is included in group shows, whether museums are supporting the artist via exhibitions and acquisitions, and the breadth and depth of press coverage. Lastly, when work by your short-listed artists appear in gallery shows or at art fairs, always ask about pricing. Even if the work has already sold, gallery staff will often be willing to share intelligence on sale prices. By following these practices and disciplines, buyers increase greatly the odds of getting a good deal. *This article appeared in Artsy Magazine on March 20, 2018. Click here.